Tom Owen is recognised as one of the leading juniors at the construction and energy Bar. 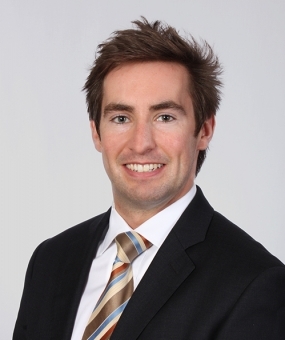 Tom is widely-acclaimed in the legal directories, recognised as “one of the most promising juniors at the Bar”. Legal Week’s ‘Stars at the Bar’ say “he has everything you would want of Counsel“. Tom is known particularly for his advocacy and trial work. Tom regularly appears as advocate in the High Court and arbitration. Tom has appeared, as Junior Counsel, in the Court of Appeal. “His written court work is outstanding”. “His written work is exemplary and his court presence is very impressive for someone of his year of call”. 3 day multi-track trial (High Court, London TCC) – Tom was defending a claim for breach of contract, a lease, and, originally, breach of the Defective Premises Act 1972. The case raised complex factual and expert evidence as to alleged defects in common parts of a development of residential apartments. The trial ultimately turned on whether a lease between a developer and management company contained implied terms as to the standard of construction of the development. Tom successfully argued that there were no implied terms, as alleged by the Claimant, and obtained judgment for the Defendant. 6 day multi-track trial (High Court, London TCC) – Tom was advancing a claim for breach of contract relating to heat treatment of steel torsion bars used in domestic and international railway rolling stock. Settled. 4 day multi-track trial (Central London County Court) – Judgment for Tom’s client with costs and dismissed the counterclaim. The case required extensive cross-examination by Tom of the factual witnesses and submissions on the law of repudiation, notices making time of the essence, delay, the prevention principle and recovery of payments in restitution. 4 day multi-track trial (Central London County Court) – Tom pursued claims for payment on 2 fit-out contracts to Central London rental properties. The claim raised issues of valuation, credibility and expert evidence. Settled. Criminal prosecution: Tom successfully defended prosecution of a national housebuilder for health and safety charges on a construction site in Manchester. 4 day multi-track trial (Central London County Court) – Tom is defending a claim for overpayment for construction works carried out at London properties. Trial vacated, to be re-listed in the autumn. 2 day preliminary issues trial (London TCC) – The Court had to consider the meaning of an exemption clauses which sought to limit the liability of a professional consultant “for pollution and contamination” and which sought to exclude “liability for any claim in relation to asbestos“. 2 day multi-track trial (Leeds TCC) – Tom was acting for a developer in a claim concerning compliance with Building Regulations and the correct measure of damages. The case required critical analysis of the expert evidence, robust cross-examination of the engineering expert and of the factual witnesses. 5 day multi-track trial (High Court, QBD) – Tom was advancing a claim for breach of contract and negligence relating to the sale and supply of goods for use at one of the UK’s largest commercial ports. Settled. 2 day multi-track trial – After contested written and oral submissions by Counsel for both parties, Tom successfully obtained strike out of the entire proceedings with costs on the first day of trial. 1 day trial – Tom appeared for the Defendant, a major UK homebuilder. Following cross-examination of the Claimant’s witness and submissions on the law, the court dismissed the claim in its entirety and entered judgment for Tom’s client. Court of Appeal – Junior Counsel, led by Simon Hughes QC. The principal issue concerned amendments after expiry of the limitation period, in particular whether they were a “new claim” under section 35 of the Limitation Act 1980 and rule 17.4 of the Civil Procedure Rules and whether they arose out of substantially the same facts as already in issue. Court of Appeal – Junior Counsel, led by Marcus Taverner QC. The issue was the meaning of an exemption clause “liability for any claim in relation to asbestos is excluded”. Court of Appeal: Junior Counsel, led by Marcus Taverner QC. Permission to appeal granted on Persimmon Homes v Arup on the meaning of exemption clauses which seek to limit the liability of a professional consultant “for pollution and contamination” and “liability for any claim in relation to asbestos“. Appeal date to be fixed. Construction dispute (High Court, London TCC) – After contested oral and written submissions, the judge approved Tom’s client’s costs budget as filed and reduced the opposition’s costs budget by 10%. Professional negligence dispute (High Court, Leeds TCC) – After contested oral and written submissions, the judge approved Tom’s client’s costs budget with minor revisions and reduced the opposition’s costs budget by approximately 25%. Commercial dispute (High Court, QBD) – Tom successfully defended his client’s budget from detailed submissions by Counsel for the opposition and a costs draftsman. Tom secured approval of his client’s budget. obtained a reduction of 15% in the opposition’s cost budget. Professional negligence dispute (High Court, Leeds TCC) – Tom resisted an application by the Defendant to amend its counterclaim. Tom also successfully pursued a hard fought application for further information under CPR Part 18. Having succeeded on all aspects of the applications at the hearing, Tom secured an order for costs payable forthwith and on account. Construction dispute (Central London County Court) – Tom applied for strike out of the proceedings and obtained judgment with costs payable forthwith and on account. 5 day liability trial – Tom appeared for the Claimant in a substantial M&E dispute concerning refrigeration equipment at a food production facility. 2 day fraud trial – Tom appeared for the Claimant against Leading Counsel. Award awaited. Adjudication enforcement hearings: seeking and resisting enforcement proceedings. Manchester TCC – Tom successfully resisted enforcement of an adjudicator’s decision. The case raised issues of whether the wrong party had been sued (no jurisdiction), decision out of time (no jurisdiction), wrong appointment process (jurisdiction) and breach of natural justice on interest. Summary Judgment and Strike Out application (High Court, London TCC) – Tom successfully resisted summary judgment to strike out claims for loss of future business and profits. The application required submissions on assignment, contractual construction and remoteness of damage. Summary Judgment application (High Court, London TCC) – Tom defended an application concerning whether an agreement was ‘subject to contract’ and conditional upon formal execution. Specific disclosure (High Court, QBD) – Tom successfully obtained specific disclosure in a commercial dispute. Relief From Sanctions (High Court, Chester District Registry) – 1 day hearing of a contested relief from sanctions application involving cross-examination by Tom and live evidence. Part 18 requests for further information (High Court, London TCC and Leeds TCC) – Seeking and resisting applications. Summary Judgment and Strike Out application (High Court, Manchester TCC) – Tom successfully resisted an application to strike out the claim on the basis of no-loss arguments and allegations of invalid assignment of rights. Amendments – Tom appeared for a football club, successfully resisting an application to amend to include allegations of defamation against the football club. Tom secured strike out of the application together with an order for costs to be payable to his client forthwith. Counsel – Tom defended a claim for payment of c.£2.4m plus interest and extensions of time under a £84m fit-out and refurbishment contract. Tom cross-examined expert witnesses on delay and gave written and oral submissions to the tribunal. Following the hearing, the Adjudicator made no order for payment against Tom’s client and awarded only a small proportion of the EOT claimed by the referring party. Counsel – Tom defended a claim for rectification of a c.£7.5m fit-out contract of Central London properties. Tom cross-examined the referring party’s principal factual witness. The case raised claims against the responding party of dishonesty and fraud, and of knowledge and allegations of mistake by the referring party. Following the hearing, the Referring Party discontinued the adjudication. Professional negligence claim. Tom presented written and oral submissions to the opposing party, their legal team, insurers and expert witnesses. The mediation demanded examination and scrutiny of expert witnesses and detailed evaluation of offers of settlement. Commercial dispute – Tom presented written and oral submissions against the opposition legal team, represented by a Silk. Counsel in a football stadium defects dispute. Counsel in a delay and payment dispute concerning Heathrow airport. Counsel for funders and developers concerning the fit-out of a central London hotel. Counsel in fraud proceedings concerning central London developments. Counsel in a claim in the Commercial Court under a guarantee. Counsel for a football club in a commercial dispute involving allegations of defamation. Counsel in a shipping dispute concerning a termination clause under a charterparty and the BIMCO Barecon 2001 form. Advised on economic torts, including conspiracy to injure, unlawful means conspiracy and malicious falsehood in relation to an international exclusive distribution agreement. Advised on service of documents out of the jurisdiction under Part 6 of the Civil Procedure Rules and under the Hague Convention. Counsel for the Employer in proceedings (TCC) concerning the design and installation of ground source heat energy pump systems. Counsel for the developer in proceedings (TCC) against consulting engineers concerning ground contamination. Counsel in proceedings (TCC) against M&E consultants concerning design and review of air conditioning systems. Counsel in proceedings (TCC) against geotechnical engineers concerning landslips at a housing development. Counsel in disputes (arbitration) against specialist cladding, window and door designers and contractors. Junior Counsel in an ICC Arbitration concerning a residential, office and hotel project in Dubai. Junior Counsel in an ICC Arbitration concerning an offshore wind farm. Counsel in a claim concerning earthworks at a University campus. Counsel for an insurer seeking enforcement of arbitral award. Advised on the effectiveness of an arbitration clause in a consumer contract and the effect of the Unfair Terms in Consumer Contracts Regulations 1999. Counsel for the Main Contractor in termination disputes (TCC) concerning a biomass fired energy plant. Counsel for the Contractor in claims (arbitration) concerning a substantial African gas pipeline. Counsel for the Employer in payment disputes (adjudication and TCC) concerning a gas-fired power station. Counsel in biological treatment (TCC) and energy from waste (advisory) projects. Counsel on offshore windfarm disputes (arbitration). Counsel in a dispute concerning works to flight training facilities at Heathrow Airport. Advised on motorway road maintenance contracts. Advocate in disputes concerning damage to apparatus owned by utility companies, in negligence and under the New Roads and Street Works Act 1991. Counsel for a contractor concerning flood defence systems along the River Thames. Counsel in claim concerning fire damage and remedial works to a hospital. Counsel in a claim concerning bridge linked platforms between oil drilling rigs. Counsel in a dispute concerning one the UK’s largest commercial ports. Advised on non-assignment provisions under an Engineer-Procure-Construct contract for an offshore drilling rig. Junior Counsel in a dispute concerning offshore heavy lifting vessels. Claim by an oil major against a global offshore contractor in respect of defective installation of a subsea dynamic umbilical cable at a floating production storage and offloading vessel (FPSO). Counsel for the Contractor in defects disputes concerning PFI BSF projects. Counsel for NHS Trusts in defects and payment disputes concerning Use, Accessibility, Safety, Unavailability and Clinical Interdependency. Counsel in fire stopping, fire compartmentation and fire defects disputes. Counsel for local authorities under project agreements concerning the interpretation of payment mechanisms on utilities payment disputes. Counsel for Project Co in respect of availability at a leisure complex. Counsel in a claim concerning remedies for specific performance, rescission and damages relating to the conveyance of residential properties. Counsel in a claim concerning private nuisance and trespass to subterranean works. Advised on easements (rights of way and parking). Counsel in a claim concerning defective title to residential premises. Counsel in a dispute between a property management company and developers relating to common parts of a development. Counsel in a dispute concerning the updating of the website of a leading advertising agency. Counsel in a commercial broadband and telecommunications dispute, raising issues of loss of profit, loss of reputation and exclusion clauses. Counsel in a dispute concerning the supply and transport of high voltage switchgear electronics. Advised in relation to GPS tracking technology. Advised in relation to distribution agreements for satellite antennae. Counsel in a claim against insurers under a defective title property policy. Advised on the recoverability under an insurance policy for subsidence damage. Advised on the subrogated rights of an insured as against a co-insured of a joint names insurance policy on a dispute concerning damage to a hospital. Drafted statements of case and advised on coverage under NHBC and related insurance policies and their legal effect upon independent liability under construction contracts, leases, guarantees and the Defective Premises Act 1972.
the ICOBS rules and the Financial Services and Markets Act 2000. Counsel for owners of a Central London restaurant, advising on jurisdiction under the Brussels I Regulation Recast and choice of law in contract and tort. Advised on the jurisdiction of the English High Court under the Lugano Convention over a company domiciled in Switzerland. Advised on the effectiveness under English and EU law of sale and distribution agreements for satellite antennae. Assisted in advising on the validity of a Kuwaiti contract of guarantee. Advised on the Brussels I Regulations, Rome Convention, Rome I Regulations and Rome II Regulations. Counsel for the Defendant in a criminal prosecution of a national housebuilder for health and safety charges on a construction site in Manchester. Counsel in a criminal prosecution for scaffolding offences at a construction site under s169 of the Highways Act 1980. Advised on liability under the Health and Safety at Work Act, Control of Substances Hazardous to Health Regulations, Control of Asbestos Regulations and Construction (Design and Management) Regulations. "Very user-friendly and totally committed to the task. He delves into the details in incredible depth, so you know he'll be utterly prepared for every eventuality." "Very bright and meticulous in his preparation and strategy." Tom Owen is “one of the most promising young juniors at the bar”. Tom Owen is “by a long way the best junior counsel I have instructed in over 20 years of practice. His written work is exemplary and his court presence is very impressive for someone of his year of call”. Tom Owen is “highly recommended”. Tom Owen is “a great analyst”. Tom Owen “sees things others miss in cases”. By invitation of King’s College London, Tom is a lecturer and examiner on the MSc Construction Law & Dispute Resolution course. Tom lectures on all aspects of Civil Procedure and Civil Litigation. Co-Author of the 5th Edition of Halsbury’s Laws of England: Income Taxation – Sub-contractors in the Construction Industry. Author of iSurv: Payment under Construction Contracts. “Amendments after limitation: limiting the amendments”, KC Construction Update, Summer 2013 (pp.12-13). Sweet & Maxwell webinar Masterclass from Tom Owen: “Nuisance and Rylands v Fletcher: recent developments”. Sweet & Maxwell webinar Masterclass from Tom Owen: “Commercial Property – pre-contractual representations, agents’ duties and guarantees”. By invitation of legal publishers, Sweet & Maxwell, Tom Owen is the author of “Defective Premises” and “Lis Alibi Pendens” for Westlaw UK Insight. Further, by invitation, Tom Owen is the author of: “Construction Adjudication: Enforcement” and “Construction Adjudication: Overview” for Westlaw UK Insight. Tom is a keen sportsman. He enjoys playing and watching football, rugby and cricket.